German Shepherds are an energetic breed of dogs that require food that will keep them healthy and provide them the necessary strenght to keep up with their fun activities. German Shepherds are also highly prone to gaining weight and become obese and develop hip and joint problems therefore they require food that will provide them the necessary calories without the chance of gaining weight. 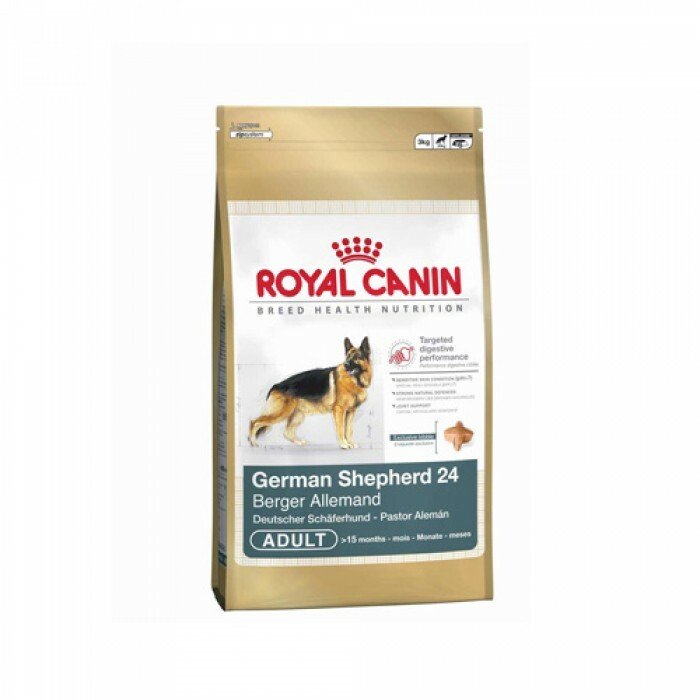 Royal Canin German Shepherd Adult food has been specially formulated keeping these conditions in mind. The food is in the form of kibble that is packed with the necessary natural ingredients and nutrients that provide the energy and the strenght to the dogs. THE EPA and DHA levels are optimised to support the muscoskeletal structure and to keep the digestive system healthy and active. The micro nutrients in the kibble promote soft shiny fur and good skin. 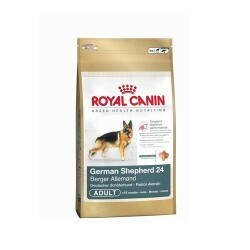 It also keeps the periodonal problems such as tartar and plaque at bay as the kibble promotes chewing action.